There are three levels in Data Center floor plan they are: The layout above raised floor, layout below raise floor and layout above dropped ceiling. To set up Data Center floor designers begin with dividing the floor. An important step at this level is to include a sub-floor with efficient drainage system to remove some possible leaks from sensible equipments or water. Cooling pipes and Power Cables ought to come through the sub-floor. 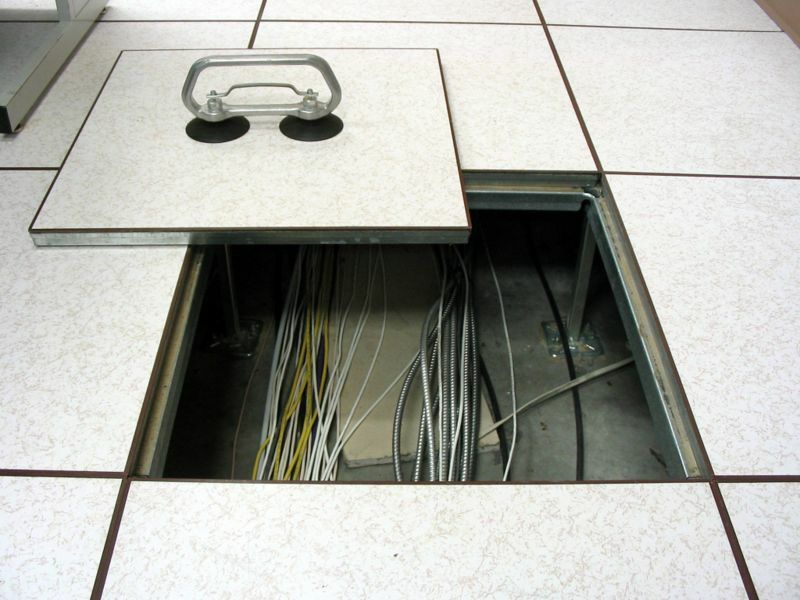 Data cables are installed at the top of the raised floor. There should be some free space in the middle of the raised floor to permit unhindered air flow. Equipment should be placed in such a way that it should improve support quality and performance. Most common way to do so is applying the Hot aisle/cold aisle layer. 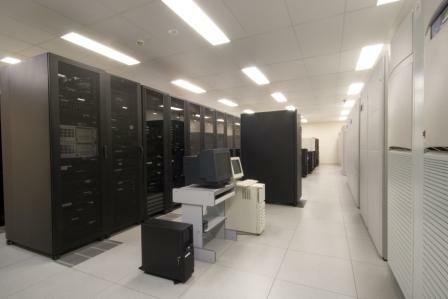 Ceiling height of most of the Data Centers is 9 feet and all the equipment should have at least 18 inches of clearance. Next layout is above the dropped ceiling. Plumping and water should be strictly banned from passing over the room. Most suggestible is to avoid these pipes in the building and place them somewhere in the perimeter. This will reduce the possibility of water leak which can done serious damage to the computer equipments. Dropped ceilings presents an optional cooling by allowing the air to flow through ceiling plenum based on the requirements of the cooling. Before starting work on top down view of a Data Center, designers have to examine the equipment location, deciding equipment size, essential space area and work flow process. It also involves analysis using CFD (Computational Fluid Dynamic) modeling. This process is performed for the area above the floor as well under-floor area. CFD allows designers to take decisions about where to place IT equipment, perforated tiles, rack location units, CRAC equipment e.t.c. There are many software available in the market which helps in concluding both under and overflow airflow obstacles. CFD analysis also allows you to find which cooling zones should be used for high density, medium density and low density equipment. Once all the above steps are complete you can head towards the hot aisle/ cold aisle step. In the hot and cold aisle layout cold air is delivered using pierced tiles in the cold aisle. When heat is generated in the hot aisle it uses the ceiling height as a way to back to the CRAC units. If the heat generated is high it can be cooled down by using a new kind of CRAC units commonly known as “in row’ system. Design teams also need to find out specific cooling and powers zones. There may be some zones which are in the low-density RLU zones which only want raised floor cooling, and there may be some other zones which needs medium-density cooling options. For ultra high-density server, there must be a cabinet cooling solution. Before drafting a plan for Data Center, there are few technical and strategic issues to be worried about. For best scalability and availability hire an expert.